One of Huntersville’s main attractions is Birkdale Village, a diverse shopping center where you can find a combination of restaurants, retail, entertainment, and a one-of-a-kind interactive fountain in the center of it all. There are over 60 shops, 10 restaurants and bars, a unique wine bar, and Birkdale’s own 16-screen movie theater. Above the retail shops are the luxury Birkdale Village Apartments ranging from one bedroom to three bedroom. These apartment homes (and some town-home styled homes) boast modern interiors, many of which are loft-style or have beautiful sun rooms. Birkdale is less than a mile from highways 73 and 77. Birkdale Village is a great mix of commercial, residential and retail space in a bubbly, inviting and urban environment unlike any other shopping center in the Charlotte area. 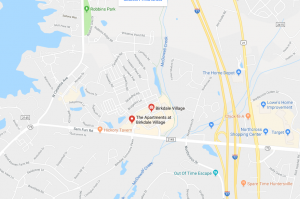 Located right off Sam Furr Road (Highway 73) and also less than a mile off exit 25 from highway 77, Birkdale is in a prime location with easy access and plenty of parking, so navigating around is hardly a nuisance. Birkdale provides a unique shopping experience in an upscale urban setting. Some of the local’s favorite shops within Birkdale Village are Total Wine & More, Savory Spice Shop, Kirkland’s, Jos. A Bank and Bath & Body Works, among many others. As far as the cuisine within Birkdale goes, you can’t go wrong with Bad Daddy’s Burger Bar or Qdoba Mexican Grill, which are just two of the many restaurants you can find here. 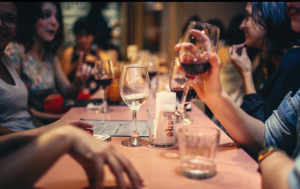 Corkscrew is a general favorite if you’re looking for a lavish wine bar with select lite fares like hummus, cheese platters, empanadas, or the occasional featured dessert dishes. What are your favorite things to do in Birkdale Village? Do you know of any upcoming events within Birkdale? Do you live at the residences above the retail shops? Let us know what your experiences are!